Although the age we live in is often marked by apathy towards the missteps of government by many in our society sometimes when those mistakes, blunders and lapses become great or intolerable people take action. Avoiding violence is paramount and it may be accomplished by a peaceful revolution. Thoreau states concepts and ideas in Civil Disobedience that are often concealed on public airwaves from the citizenry today by media corporations allowed to increase or maintain their profits by favorable legislation as well as public and private institutions subsidized by government largess. The two political parties and their emissaries vying for power often cloud the waters for elucidating the most effective and efficient use of national resources contribute to a Disunited States of America, a division favorable to the entrenched political parties. This chronic political squabbling over some issues masks an essential discussion over the best role of government as well as the costs of government, which are looming over the country like a dark cloud. Our government has spent trillions of dollars on national security and the military including robot and drones. Thousands of military personnel and innocent civilians have perished and been maimed in two optional wars in Iraq and Afghanistan in which trillions of dollars will ultimately be expended with unknown repercussions. Nationally elected political leaders have fogged up these wars in patriotism, a flimsy chord of reason to justify superpower pre-emptive wars, though patriotism often strikes the right chord of emotion for war. Who is guilty of the crime at the World Trade Center? Nineteen men. A terrorist group. Was the country or government of Saudi Arabia responsible for its eighteen citizens who participated in the attack on the World Trade Center? Or Egypt because the apparent leader of the attack was an Egyptian citizen? Has it been established or proven that the Afghan and Iraq governments were complicit in this crime? Has collective punishment in optional wars become a strategy for initiating war to further the concept that foreign occupiers bring stability? Is Government like a beast that must be tamed, for if it is not tamed will it subdue, subjugate or intimidate the citizenry? The first President of the United States, George Washington, understood governmental power, for he stated that government was not reason but force. Is it the duty and responsibility of the citizenry to supply that reason for a United States of America? Who is the public servant today? The citizenry or elected representatives. How much turmoil is government allowed to create in domestic and foreign affairs: financial mismanagement of government and major programs, pre-emptive wars and restrictions on freedom in the name of security? Have the two major political parties and their representatives ever calculated the countless billions of dollars they have lost to waste, fraud and abuse since the elective or optional war in Vietnam? Is effective and efficient government achievable by the two controlling political parties? Is America like a giant tree unable to see the forest and unable to perceive the overview of the world because it is mired in itself with an emotional attitude that its culture and nation are superior to all others while manufacturing wooden men who are guiding the ship of state? These are questions Thoreau might ask today. Henry Pelifian has written many columns and articles on government and current events. He has published a play entitled Thoreau based on the life, works and words of Henry David Thoreau and a war novella and short stories based on his years overseas called Stellar Energies To America. He served in the U.S. Army in South Vietnam and in the Peace Corps in Thailand. He has an B.A. in English/Drama/Education and an MBA in International Management. He has lived in Thailand, Malaysia and Iran with experience in both public and private sectors. Visit his blog, http://uniskywriter.blogspot.com/. This entry was posted in All Posts News Politics and-or Videos, Anti-war, History, Politics, Resistance, Revolution and tagged Activism, Civil Disobedience, Democracy, Henry David Thoreau, Henry Pelifian. Bookmark the permalink. Henry , Thoreau was my number one influence in high school . then in college i moved on to Jung . But –yes sir ..Thoreau is still relevant . Civil disobedience is one of the ways that the people retain true social and political power. Our willingness – or unwillingness – to consent to the edicts of the government is part of the unwieldy system of check and balances on the US Government. 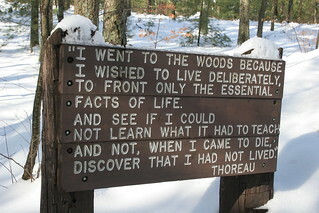 I ponder Thoreau’s actions often. As our taxes are used for more and more unconscionable acts of violence at the expense of our schools, social services, arts, and humanities, it becomes more and more difficult to justify one’s collusion with such destruction. And yet, the prospect of elongated jail time is daunting, I will admit. I believe that the ways in which we spend our money is a potent source of social and political power. When working in coordinated efforts such as boycotts and divestment campaigns, it can often be effective at creating rapid social change. As you say, Thoreau is relevant for today, and Gandhi, King, Chavez and the countless more in the lineage of nonviolent, peaceful revolution. Thank you. Our restrictive political system with two entrenched parties not allowing other voices in the political system make constructive change arduous and more difficult. Despite the enormous funds expended on education Thoreau’s perspective and views on civil disobedience are either ignored or are a sideshow instead of becoming an integral part of the educational and democratic process. Until sufficient numbers of people learn and adopt the role of civil disobedience as an effective tool in a political system it will remain on the sidelines instead of in our main streets. Mohandas Gandhi and Martin Luther King were leaders who adopted civil disobedience successfully in their goals, independence for India from Great Britain, and greater freedom and equality for African-Americans respectively. They both endured prison for their beliefs. Who among us has such courage? “Is a country responsible for what 18 of its citizens have done?” That sums it up and contrasts the other perspective, that individuals end up being responsible for government policy at the same time. Who gets to decide? Lots to think about. Most people know that the 18 “citizens” were from saudi arabia and had little to do with 911 and blaming the u.s government comes up short as well. Who controls our puppets? (elected officials) Zionists? Masons? Jesuits? Banksters? They hire people like Edward Bernays to continually amp up their lies. It makes us all want to follow Henry into the woods, but these days there’s no where to run. 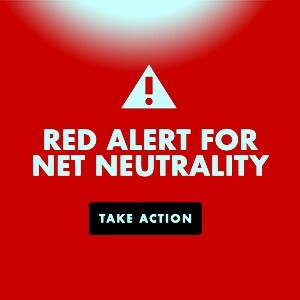 Please read this blog post: https://dandelionsalad.wordpress.com/2014/02/17/circus-of-deceit-the-big-boys-of-the-fortune-500/ It goes into who controls the “puppets”. I really agree with that, but how do we define the righteous individual? As an ethical being? A man/woman of their word? I’m not sure we’ve ever adequately solved the problem of government, at least not at scale. Presumably Socrates was an honorable man, but they executed him. I believe Thoreau is right, only we must somehow find ways of providing checks and balances, assurances and accountability. Oversight is necessary, but who oversees the overseers? I think we must have a moral revolution…or evolution, to radically rethink our ways and means. Certain types of behavior should be utterly reprehensible, and those who condone such political depravity as a form of institutionalized vice should be objects of public contempt ~ and be answerable in kind for their villainous crimes against civil society. A perfect government as we all know will never exist. The more checks and balances, accountability as you say, and if necessary, civil disobedience, will ensure a more just and equitable society. Thanks Henry ~ good article. The US is unique I’d say, having brought to birth the radical precedent of civil disobedience. It seems to me the threats today are indeed real and menacing, but then so was Kent State, back then. We may know a lot more about what is going on now & much faster than before, but we also know a good deal more about what was really happening in the past, that was concealed or denied.